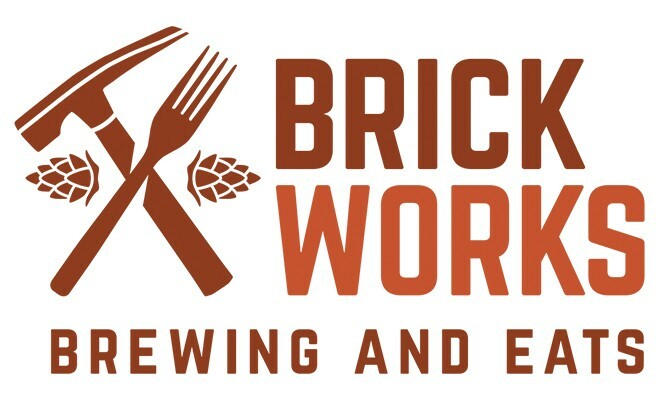 Brick Works Brewing and Eats opened in Smyrna in June of 2016, the vision of Kevin Reading and Laura Burton, owners of Abbott’s Grill in Milford, Eric and Megan Williams, owners of Mispillion River Brewing in Milford, and Ryan Maloney, Brewmaster of Mispillion River Brewing. For years, the partners had discussed working on a project together. But, the right opportunity had not presented itself. Shortly after fall of 2015, a property developer in Smyrna approached Reading with a restaurant location that could not be beat. Reading pitched the idea of a brewpub to Williams and Maloney, and Brick Works was soon formed. The name Brick Works was chosen because the Smyrna property originally served as a brick making factory. The idea of utilizing the location’s former life as the name stuck out to the partners, as they wished to emulate the art and the craft comes along with laying bricks. Williams and Maloney quickly enlisted Justin Colatrella as the brewer for the enterprise. Colatrella brought years of production brewing experience to the table. Formerly a brewer for Fordham and Dominion brewing in Dover, Colatrella was the brewer who brewed Dominion’s World Beer Cup winning Belgian Tripel. Early on, the team made the decision to focus on from-scratch cooking that utilizes local ingredients. The Brick Works menu features local partners, such as Colvine Bison Farms, TA Farms, Fifer Orchards, and Camden-Wyoming Market, to create an ever-changing, seasonally appropriate menu. The from-scratch mantra is taken so seriously in the Brick Works kitchen that Prep Manager Bill creates spent grain breads that are used ONLY as salad croutons. Reading’s influence can be seen in the dishes that the kitchen prepares, with many gourmet dishes modified to meet the palates of Kent County residents. Chief among these recipes is the Pork Schnitzel sandwich. 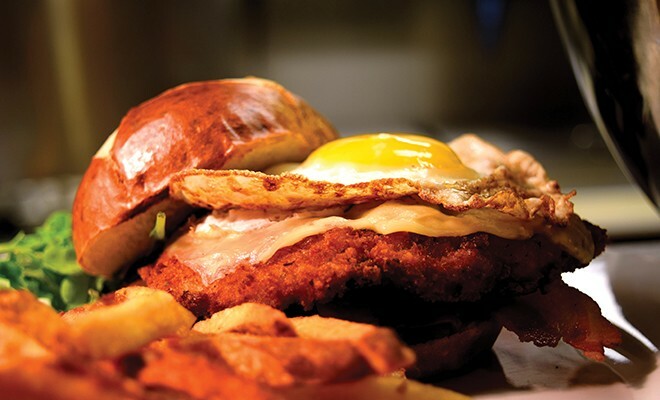 Cooks top a pork cutlet with bacon, fried egg, cheese, and cabbage and place the delicious preparation on a pretzel bun with stone ground mustard. The cooks, Benson, Marcello, Brian, and Cheeks, are given the opportunity to bring their own flair to the kitchen. Every day they create specials for the menu and the specials that sell the best eventually make their way onto the standard menu. One such special, the Peanut Butter Drizzle Cheesecake, came from this exercise. The brewing side of the restaurant heeds the slogan as well through their seasonal brews. While Basic Brick, a Cream Ale, and Drop Trowel, an IPA, are available year-round, every other beer on the 12-tap system rotates based on the season. That has allowed Head Brewer Colatrella to create a Strawberry Maibock when strawberries came into season, a Peach Pie Ale, when peaches debuted, and darker stouts and porters as the weather cooled. The brewery side has also been on the front end of a lot of brewing trends. 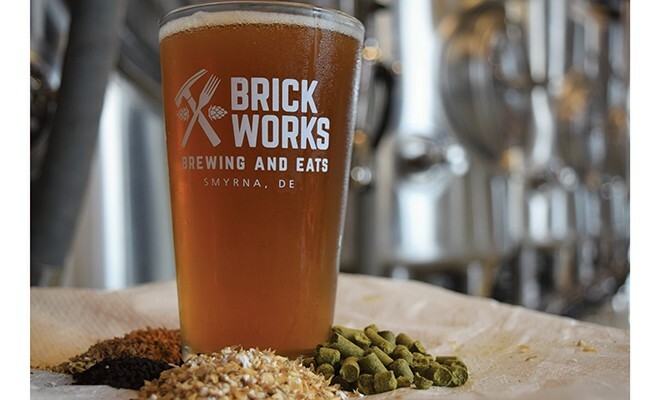 Brick Works was one of the first breweries in Delaware to utilize the Vermont Ale Yeast strain and focus on New England style IPAs. Colatrella is also one of the only brewers in the area to consistently brew lagers, which are growing in the market. Together, the house brewed beers and from-scratch dishes form an integrated dining experience. However, Brick Works would not be complete without its veteran waitstaff. They believe that the best beer and best food deserves the best service they can provide. If you stop in, you may have the privilege of being waited on by Jackie, Dan, Jeff, Kim Jenn, Sean, Graham, Chris, Savannah, Jamie, Kelly, or Mike, all of who have been at the brewpub since the beginning. Brick Works is unique in Kent County. Not only is it the first brewpub to be built in the area, but the ownership and staff truly pride themselves on presenting the best Delaware has to offer. Everything is made from scratch from plate to glass.